Support Operations are made up of members from all 13 clubs in the Hunter Branch. The introduction of the RWC into the Life Saving Support Service arena has proven to be extremely successful, marking a significant step in our voluntary patrols. Duty officers are rostered one day a month. 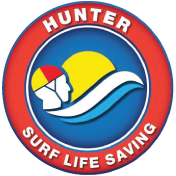 They are on 24/7 callout, they work with club Directors of Lifesaving and Club call out Teams. Call out team consists of 10 members who would respond immediately to a call outs - if you are interested in being part of your Clubs Call Out Team please contact your Club Director of Lifesaving.